The world is dying. Every day, the Moon’s orbit deteriorates. With science unable to provide an answer, people turn to the Old Ways for salvation, to the supernatural world and its otherworldly courts, who see humans as little more than playthings for their amusement. But Dante doesn’t believe the world is ending. He thinks it an illusion created to control people. He wants to overcome the lies and earn a place in the distant City, whose inhabitants no longer believe in such superstitious nonsense as ‘magic’ and ‘faeries’. 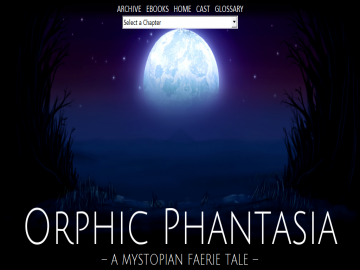 Orphic Phantasia has not been tagged yet. Help others find Orphic Phantasia by tagging it! Orphic Phantasia has not been reviewed yet. Orphic Phantasia has not been recommended yet.